At Witmore, we understand that access to respite services can make a real difference to the quality of life for all members of a family living with a disability. We listen to your family story and develop support options that suit your individual needs. Some of these options can include; in home care, out of home care, overnight accommodation, attending leisure activities, weekend / after hour activities, holiday programs, breaks away and assistance with domestic skills. You are only limited by your imagination! As one of the larger disability service provider in the Upper Hunter and having been created to meet local needs, we pride ourselves on being able to deliver flexible and tailored solutions for your family. Our qualified support staff can offer a wide variety of skill-sets that can be matched to meet your service requirements. How do I access respite services? If you have a current NDIS plan, accessing Witmore services is as easy as making a phone call. 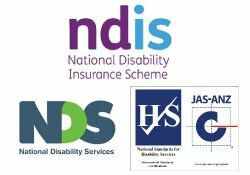 If you are not currently registered with NDIS but believe that you meet the criteria, we have an NDIS co-ordinator onsite that can assist you. For further information, please contact Rachel Bitschkat on 6572 2578.